A light, balanced oil with a delicate floral aroma, naturally rich in organic essential oils to soothe and moisturize dry skin. 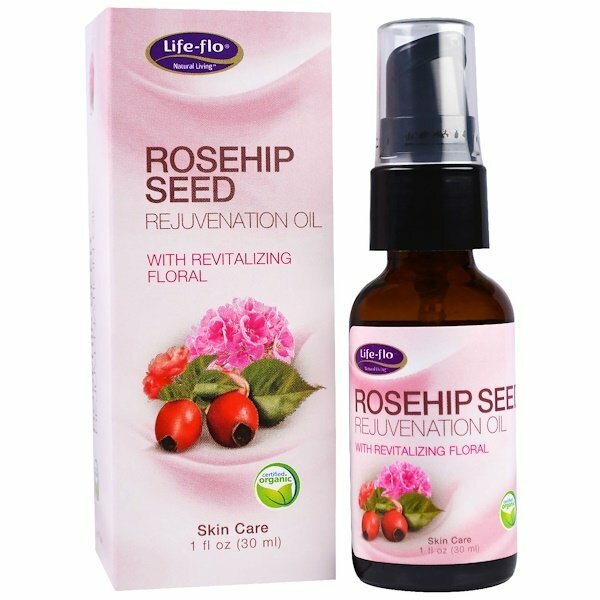 Rosehip Oil contains natural Retinol Acid (Vitamin A) and is well sought after for helping to replenish and restore mature or sun-exposed skin. 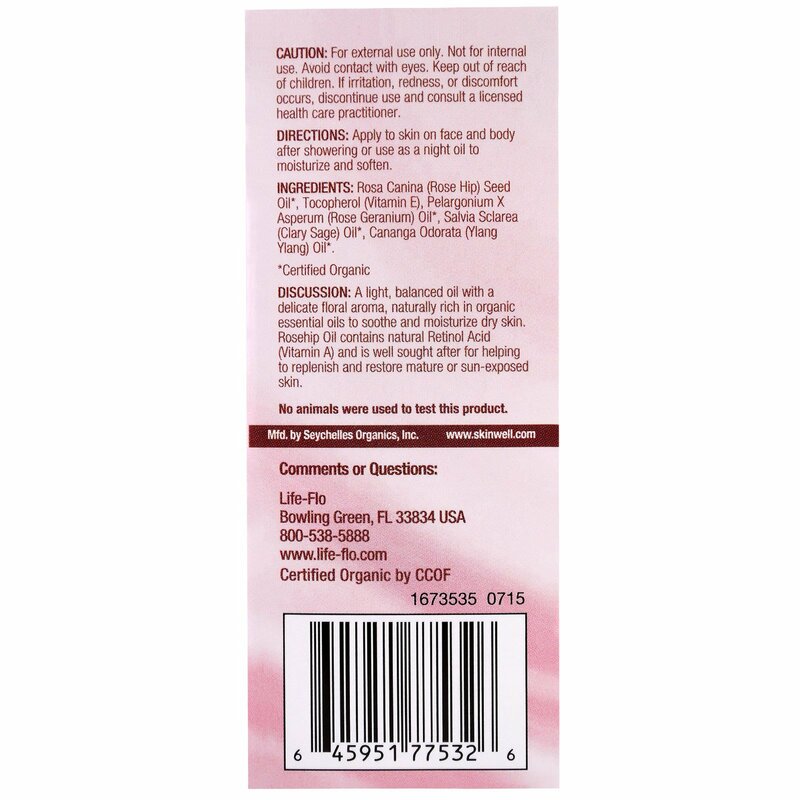 Apply to skin on face and body after showering or use as a night oil to moisture and soften. Rosa canina (rose hip) seed oil*, tocopherol (vitamin E), pelargonium X asperum (rose geranium) oil*, salvia sclarea (clary sage) oil*, cananga odorata (ylang ylang) oil*. Caution: For external use only. Not for internal use. Avoid contact with eyes. Keep out of reach of children. If irritation, redness, or discomfort occurs, discontinue use and consult a licensed health care practitioner.